The film opera “Iphigenia Point Blank: Story of the First Refugee” examines and responds to today’s global refugee crises in a unique performance that blends film, theater, dance, and music. Three women with longtime connections to the University of Iowa joined forces on the production, which will make its world premiere at the University of Iowa. 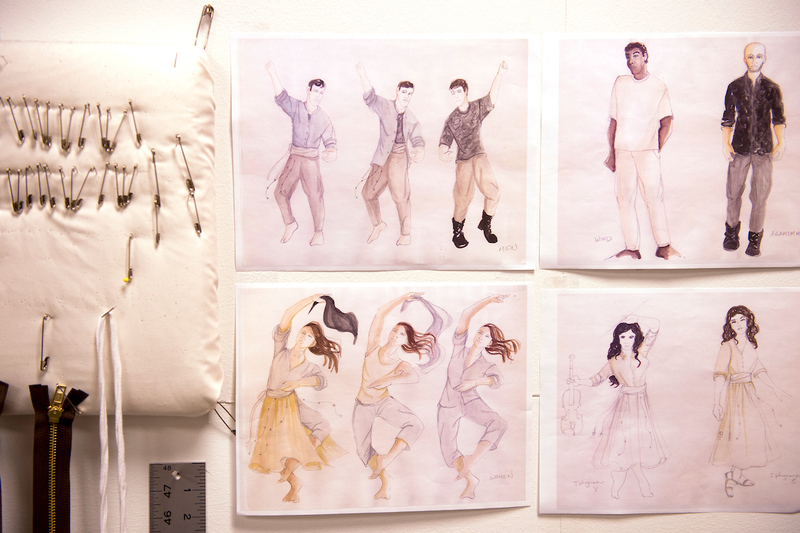 See the photos below for a glimpse of rehearsals, costume design, and technical detail. Photo by Tim Schoon. 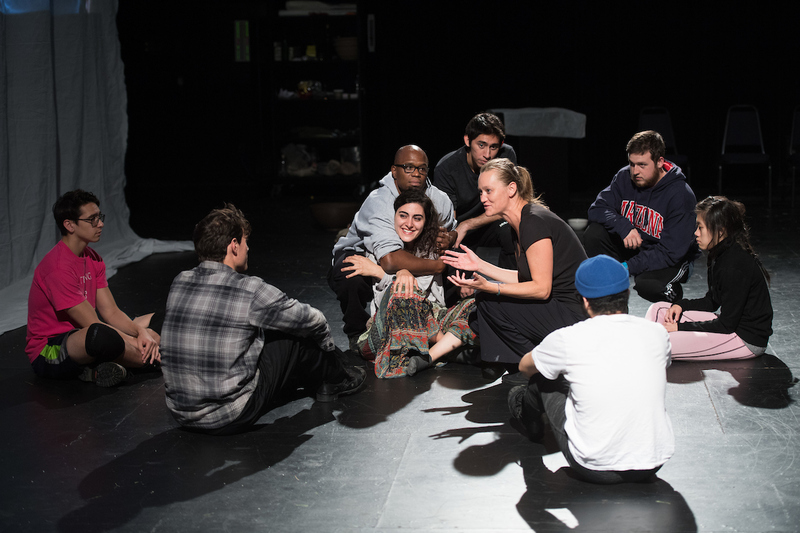 University of Iowa alumna Lisa Schlesinger first wrote about Iphigenia, a figure from Greek mythology, in the early 1990s while working toward MFAs from the UI Playwrights Workshop and the Iowa Writers’ Workshop. Iphigenia at Zero imagined Iphigenia in Hiroshima, Japan, as the atomic bomb was dropped during World War II. Tickets: Buy tickets through the Hancher Box Office: $20 adults, $15 seniors (65 and older), $10 non-UI college students (with school ID), $10 youth (17 and younger), $5 UI students (with Hawk ID). Learn more on the Department of Theatre Arts website. According to Greek mythology, after King Agamemnon kills a deer in a field sacred to the goddess Artemis, she punishes him by stopping the wind so his fleet cannot set sail to wage war against Troy. Artemis tells Agamemnon that for the wind to blow again, he must sacrifice his daughter, Iphigenia. He does. This tale of a horrific sacrifice made for the sake of war was most famously recounted in two plays by Euripides nearly 2,500 years ago and has been retold in numerous adaptations since. 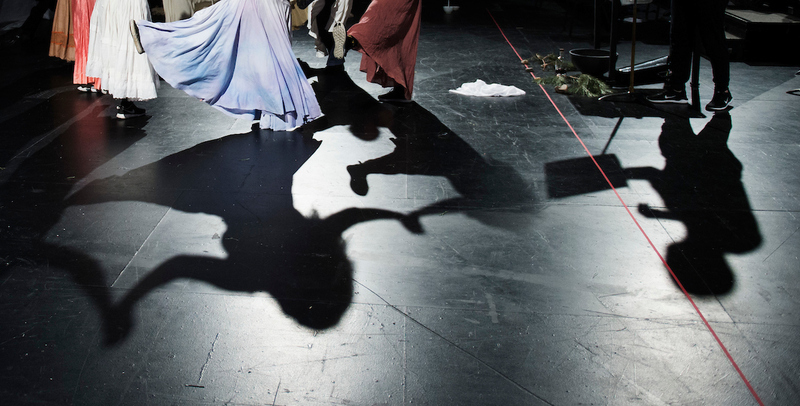 More than 20 years later, Schlesinger has returned to her adaptation of Iphigenia’s story in an avant-garde production emerging from a multiyear collaboration with filmmaker Irina Patkanian and director Marion Schoevaert. 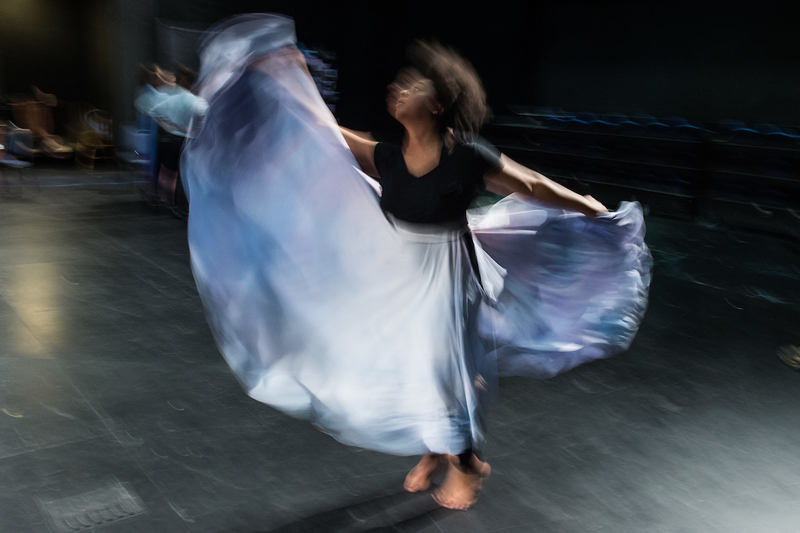 Iphigenia Point Blank: Story of the First Refugee is a unique performance that blends film, theater, dance, and music to examine and respond to today’s global refugee crises. 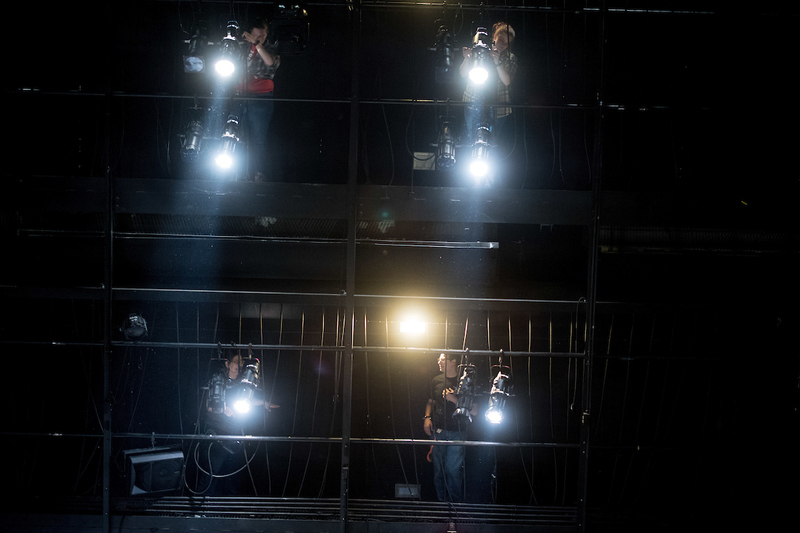 Elements of the project culminated onstage at the UI’s David Thayer Theatre in November in a world premiere featuring UI students. 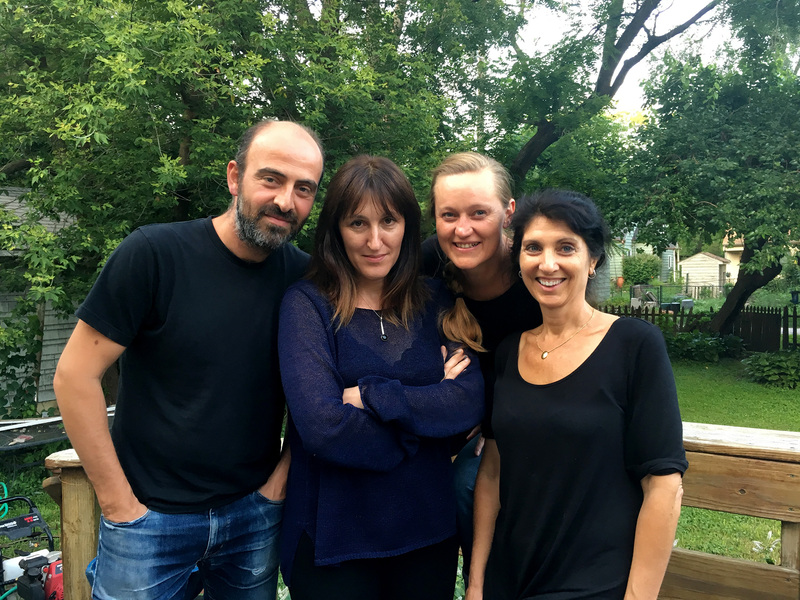 From left, composer Kinan Azmeh, filmmaker Irina Patkanian, director Marion Schoevaert, and playwright Lisa Schlesinger pose together in Schlesinger’s backyard in summer 2017. Their combined talents are on full display through the film opera Iphigenia Point Blank: Story of the First Refugee. The three women met in Iowa City in the early 1990s. Patkanian was working toward her MA in linguistics and MFA in film production at the UI, and Schoevaert was in town working with Riverside Theatre and the UI Department of Theatre Arts. In the ensuing years, the women lived around the world but still maintained their friendship. When Schlesinger and Patkanian began talking about working together in 2012, they were again inspired by Iphigenia. The result was Seven Songs for Iphigenia, a 2015 film/theater workshop and site-specific performance among ancient ruins in Crete. What: Many of the principal artists, including Lisa Schlesinger, Irina Patkanian, and Marion Schoevaert, will discuss their process and talk about their work. 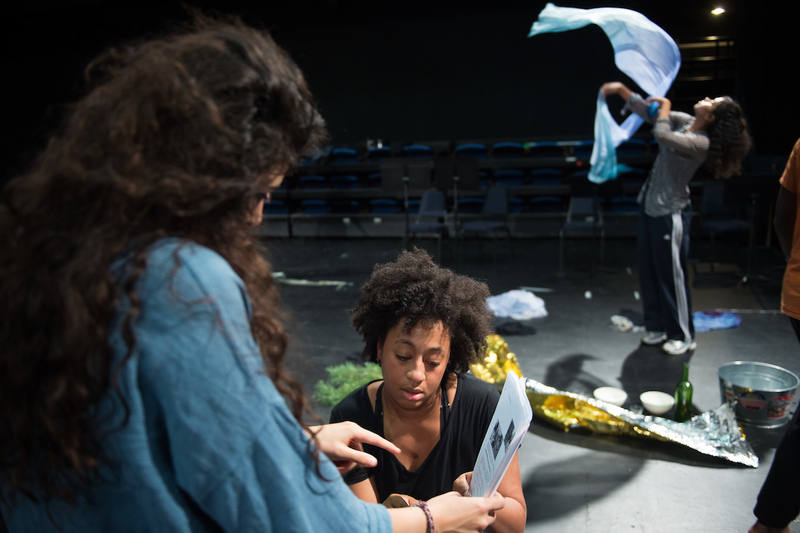 When they arrived in Greece for the performance, refugees from Syria, Iraq, and Afghanistan were pouring into the country, and the women immediately drew a connection to Iphigenia’s mythological story. While some versions end with Iphigenia being sacrificed, others end with Artemis rescuing her and sending her to live in exile. “When we realized Iphigenia was the first refugee in world literature, we felt there was more work to do on this story,” Patkanian says. Patkanian stayed on in Greece after the performance, traveling with her camera man to Lesbos, where thousands of refugees were arriving daily. Patkanian, who is from Russia and is now a professor at Brooklyn College, wanted longer takes, so she decided to shoot in the style of direct cinema, a sort of American version of cinéma vérité in which the filmmaker pretends to be a fly on the wall. 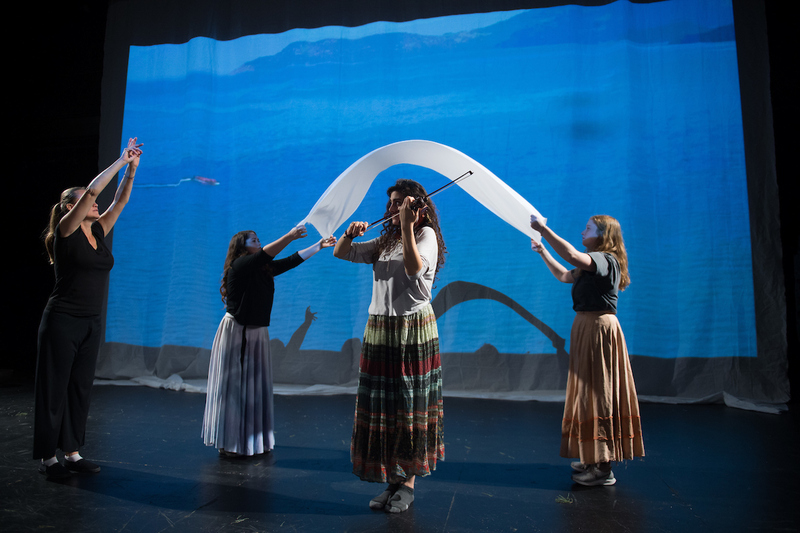 Watch: Three Boats—Iphigenia at Lesvos, which played on Iowa Public Television and is a shorter version of what appears in Iphigenia Point Blank: Story of the First Refugee. Meanwhile, back in Iowa City Schlesinger was starting to write a new play based on the project’s new focus on present-day war and refugees. 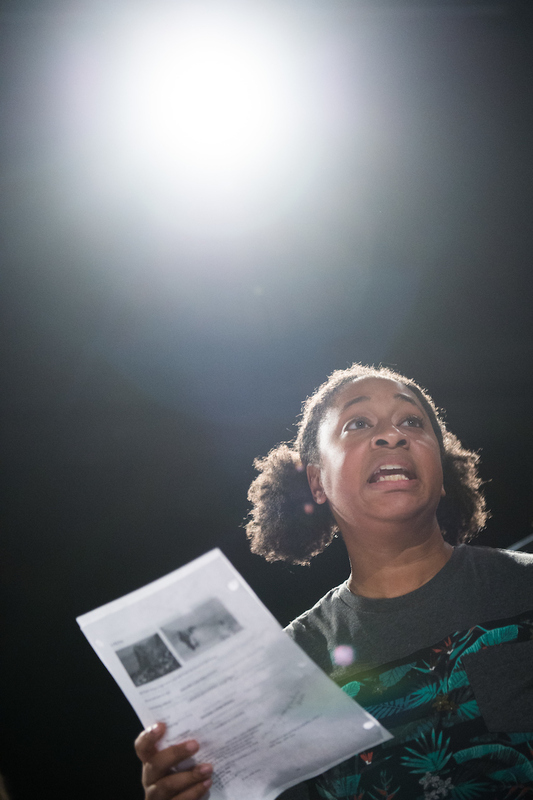 Included in this version, which she considers a libretto, is found text—words spoken by military personnel and young women since the beginning of the Iraq War 15 years ago. Patkanian remained in Greece for three months, capturing footage of people fleeing their home countries. Yet, she didn’t exactly know how they would connect with Schlesinger’s written work. 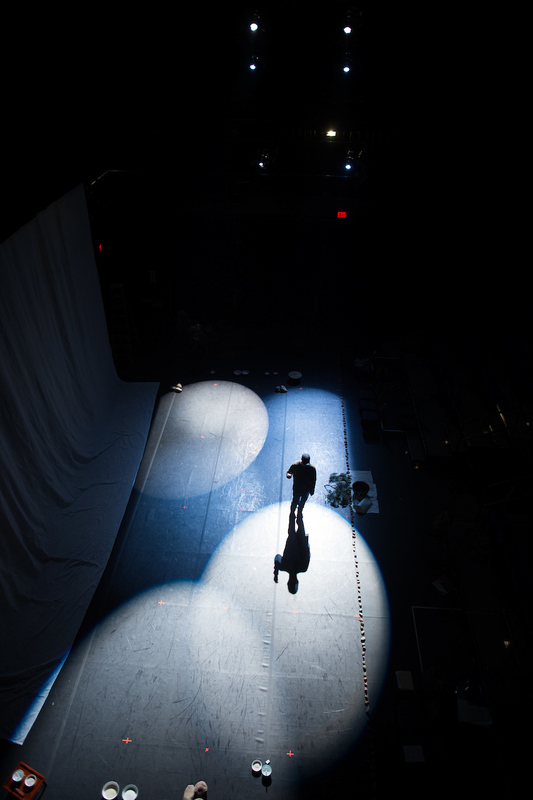 Enter Schoevaert, who grew up in France and now lives in New York City working with artists from many disciplines to blend theater, dance, rhythmic text, visual arts, and live music. With that mindset, Schoevaert jumped into the project. When possible, the three met in person and talked over Skype. They also spent a month during the summer of 2017 at the UI’s Obermann Center for Advanced Studies as part of the Interdisciplinary Research Grant program. Over four intense weeks, they reviewed and edited film footage, wrote, mapped out the structure of the show, and created storyboards. The immediate challenge was how to combine Patkanian’s footage with Schlesinger’s text. While what happens on stage does not directly correlate with what happens on the screen behind it, the two are related. Tickets: Buy tickets through the Hancher Box Office: $25 adult, $10 college students and youth. Learn more. The Embracing Complexity Lunch Series will feature Kinan Azmeh’s CityBand from 12:30 to 1:30 p.m. Nov. 5 in Meeting Room A of the Iowa City Public Library. The event is free and open to the public. About this time, Schoevaert met Kinan Azmeh, a Syrian composer and clarinetist, who was interested in composing music for the performance. Schoevaert says she discovered through her research that in Syria, a wedding is thrown at a funeral when someone dies before they are married. Schlesinger says she has high hopes for what a production that incorporates many disciplines can accomplish. 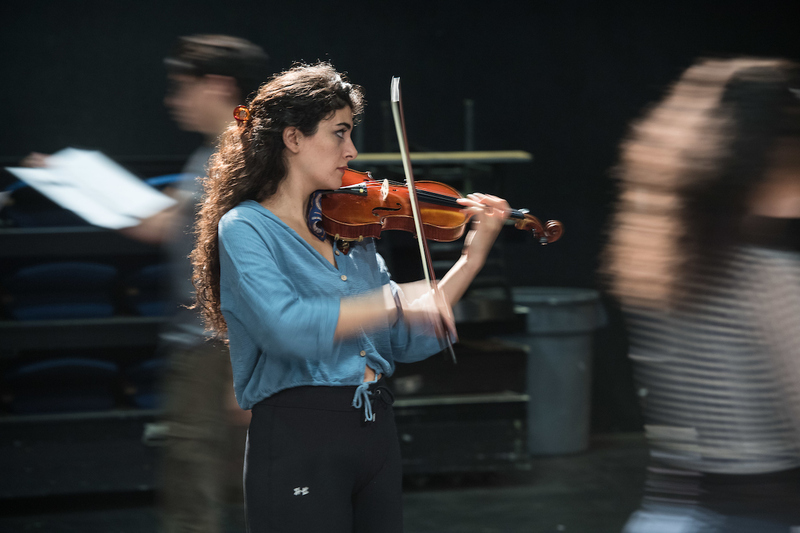 While much of the work was complete before rehearsals began, there was still room to adjust and create with the student actors, dancers, and musicians, which took place at the UI in September and October. “The text is still malleable. The music is malleable. The film is malleable,” Schoevaert says. 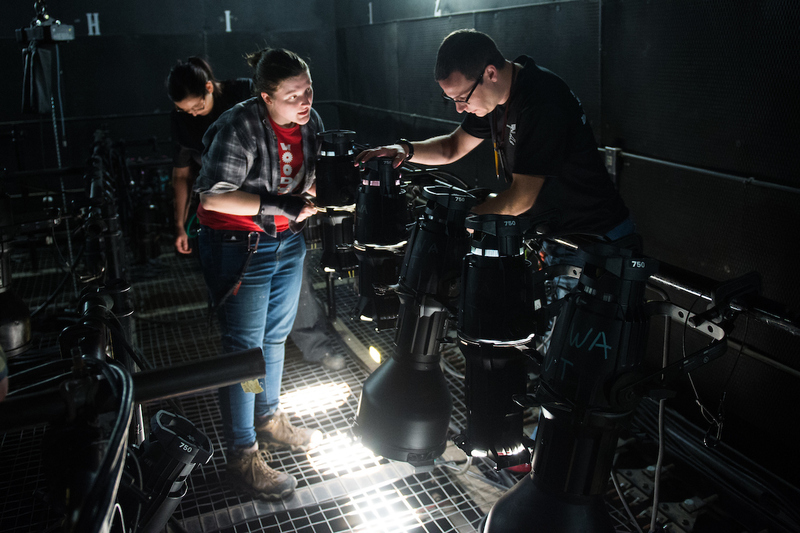 It’s exactly this type of production that Crystal Stewart, a first-year MFA student in acting from Greenville, South Carolina, says she came to the UI to work on. 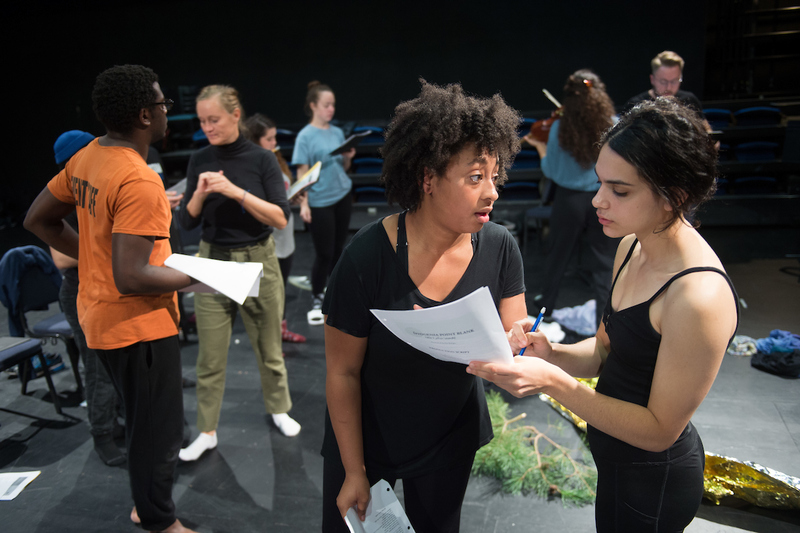 The Iphigenia collaboration is exactly the type of production that Crystal Stewart, a first-year MFA student in acting from Greenville, South Carolina, says she came to the UI to work on. Photo by Tim Schoon. 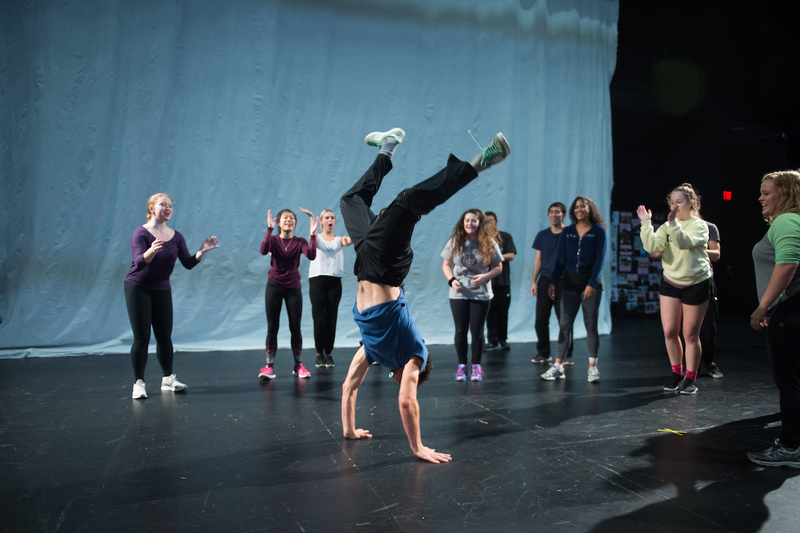 This type of hybrid production was new to most of the student actors, dancers, and musicians. 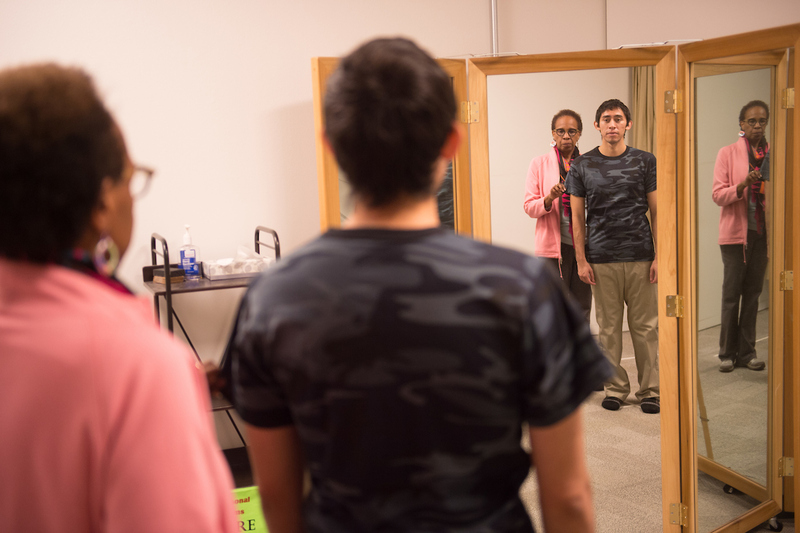 Along with dance students practicing spoken word, the student actors learned the dances, which were choreographed by George de la Peña, UI professor and BFA program director for dance. Schoevaert also wanted everyone involved to put themselves in the shoes of people seen on film and on stage. “We are watching lots of videos of real people in horrible situations and trying to identify with them as human beings, so it’s not just ideas of people suffering, but seeing real people suffer,” Schoevaert says. 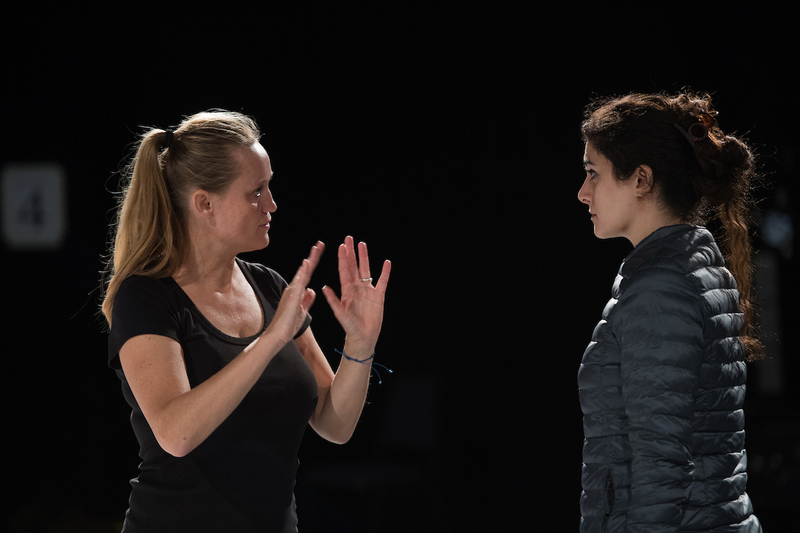 One of the goals the three women have for the production is that it resonates with audience members and makes them more deeply consider the concept of war. 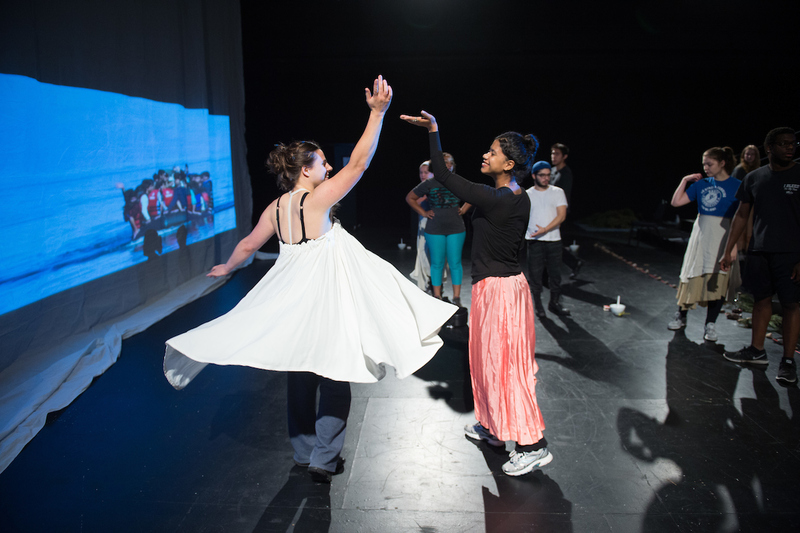 While the performance of Iphigenia Point Blank: Story of the First Refugee at the University of Iowa will be the project’s world premiere, elements of the production have been performed or shown on their own, including Kinan Azmeh’s music and staged readings of Lisa Schlesinger’s text. Irina Patkanian’s documentary has been screened at film festivals around the world, winning Best Short Documentary at the Peace on Earth Film Festival in Chicago and the Award of Recognition at the ImpactDoc online film festival. Schoevaert says she wants the audience to share in the feeling of a heavy heart. Stewart says that while sad, she also sees hope in the story. 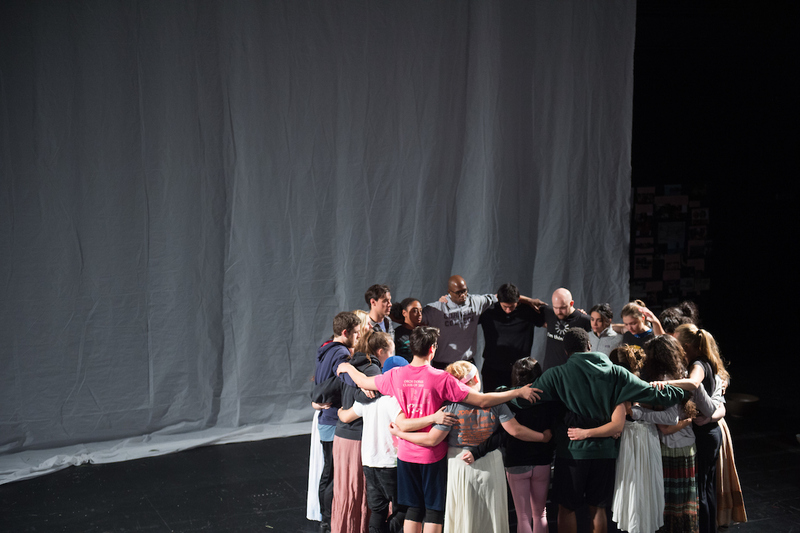 The world premiere of Iphigenia Point Blank: Story of the First Refugee is not the end of this version of Iphigenia’s story. 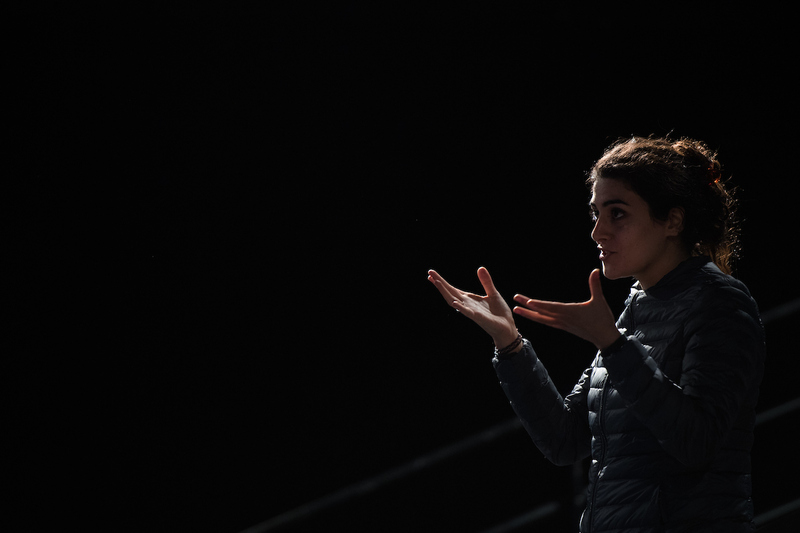 Along with the production being performed in New York next year, Patkanian continues to follow refugees’ stories, most recently recording the testimonies of female refugees and volunteers in camps in Lebanon. Meanwhile, Schlesinger is thinking about the next steps for the Iphigenia Project, which may include a published version of the play that also contains the documents and research used when writing the play, a digital archive, and continued social activism and visiting refugee camps. Iphigenia Point Blank: Story of the First Refugee was made possible in part through funding from the University of Iowa Old Gold Fellowship; UI’s Obermann Center for Advanced Studies Interdisciplinary Research Grant program; PSC-CUNY Research & Development grant; UI Arts and Humanities Initiative Major Grant; Composer Commissions Individual Artist grant; FACE Foundation Grant for the New York premiere, Segal Theater at the CUNY Graduate Center; French Cultural Consulate in New York City; New York State Council on the Arts; and the Puffin Foundation.